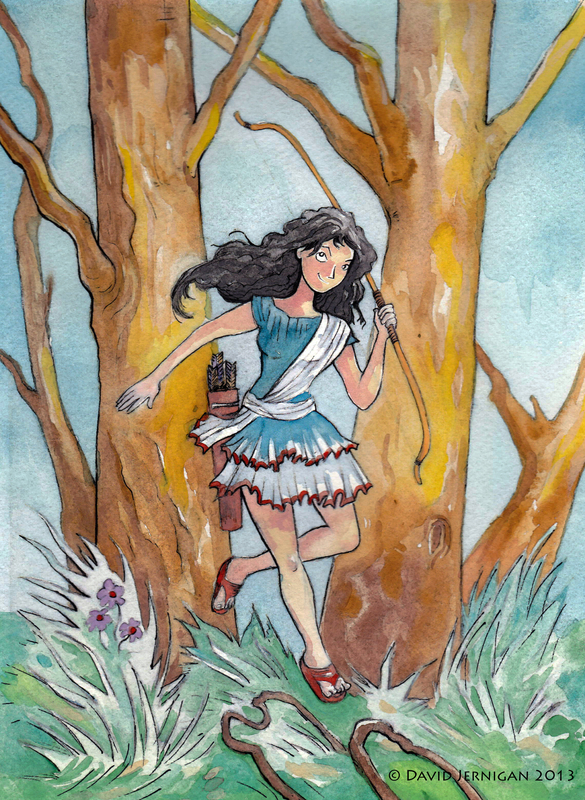 This is my illustration of Diana the Roman goddess of the hunt and the moon. In mythology she has the power to be able to talk with and control animals. I have always had an interest in Mythology. Once again, my Canon scanner bleached out the colors. I am going to purchase the watercolor friendly scanner my friends recommended. This is the illustration for last week’s Illustration Friday topic, Talented. I just finished it this weekend. I have been suffering from bad scanner syndrome. The watercolors I have been creating are not scanning well. Lighter colors are washed out so scans even with Photoshop adjustments are not looking much like the originals. My new Canon printer does not seem any better than my old Brother printer. 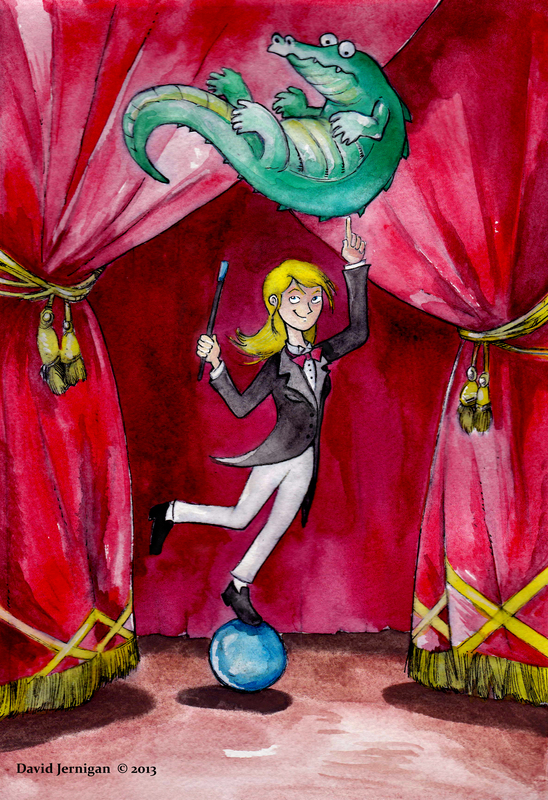 I read that an Epson scanner is supposed to be the best for watercolors. I’ll have to try that out, next time I buy a printer.